Charles N Zogbia Newcastle Utd & France signed 12x8 inch photo. Charles N'Zogbia, Newcastle Utd & France, signed 12x8 inch photo. 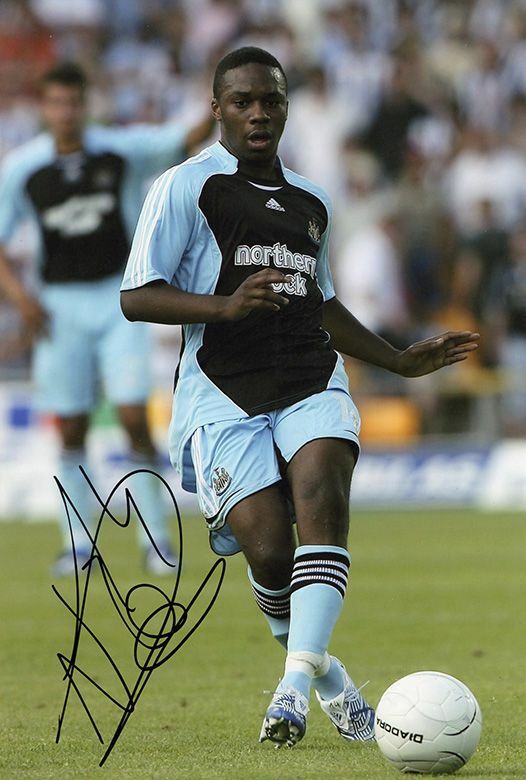 12x8 inch colour photo personally hand-signed in black sharpie pen by Charles N'Zogbia, Newcastle Utd FC and France. N'Zogbia played as a winger for Newcastle Utd from 2004-2009. He also played for Wigan Athletic and Aston Villa. He was capped twice for France.